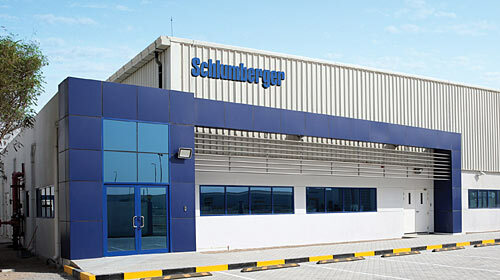 Schlumberger has announced the opening of a new reservoir and rock analysis laboratory located in Abu Dhabi, UAE. This new laboratory supports customers in the Middle East and Asia and complements our existing regional network of laboratories located in Dubai, Qatar, Kuwait and Saudi Arabia. The Abu Dhabi laboratory features an unparalleled portfolio of core processing and analysis services coupled with advanced digital rock modeling and fluid inclusion technology – providing customers powerful data integration opportunities with fastest turnaround time. The Abu Dhabi laboratory features proprietary CoreFlow* digital rock and fluid analytics services for creating 3D reservoir models to simulate flow performance under multiple scenarios. It is also the first Schlumberger laboratory outside of the United States to offer FIS* fluid inclusion stratigraphy analysis for evaluating the abundance, distribution and composition of hydrocarbon and nonhydrocarbon species trapped in inclusions in cuttings or core samples. Schlumberger operates more than 15 rock and fluids analysis laboratories around the world. The Abu Dhabi laboratory opening plays an integral role in supporting our commitment to providing unparalleled fluid and core analysis services across the entire life of the reservoir.